Desserts to wow at dinner parties or just because you love an afters! This is one of my favourite desserts, it’s naturally gluten free, it’s so easy to prepare and it’s a show stopper for a dinner party, it really is a delicious luxurious tasting treat and my dinner guests always go quiet when they eat this, all you hear is yum,yum noises! The other great thing is that you can prepare this dish days before as it goes in the freezer and that’s where it stays until it’s time to serve. I like to make little individual ones, but you could make a loaf tin size and then serve in slices. 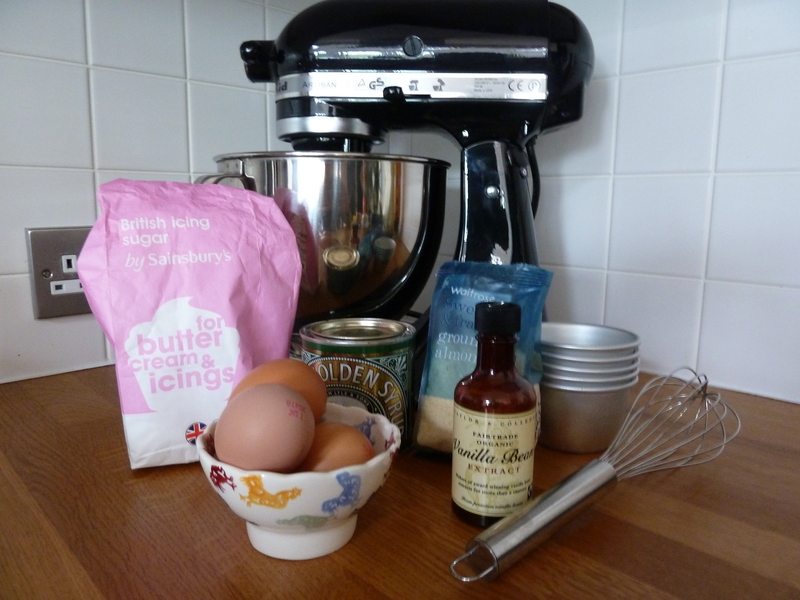 This is another recipe that is in my favourites list from the book ‘Totally Flour-Free Baking’ by Dinah Wilson. 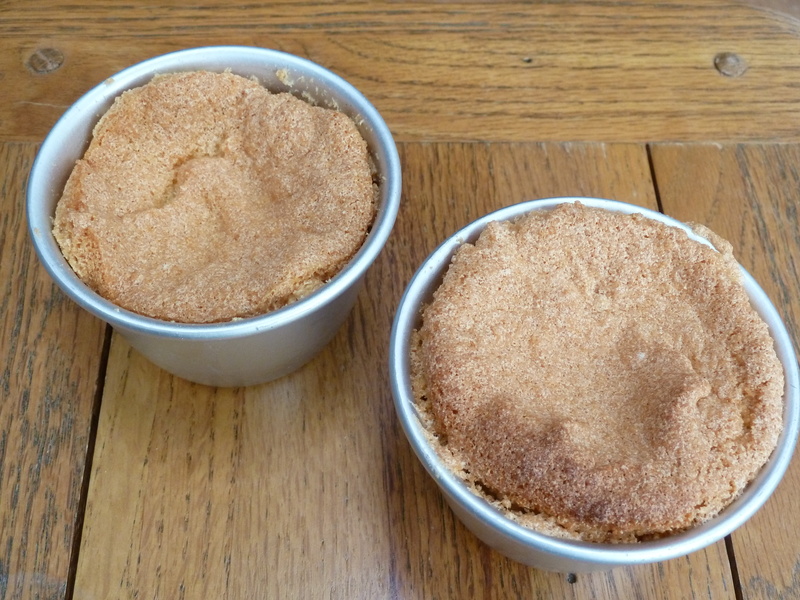 These are so tasty, they are so sweet and syrupy and the sponge is so light, they only have five ingredients, all of which are easily bought from your local supermarket. 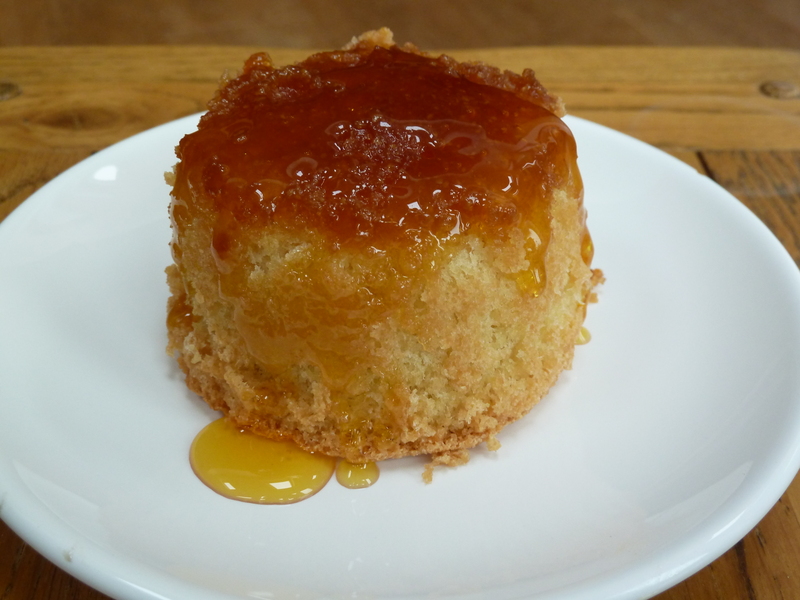 They really remind me of and old fashioned steamed pud and are so easy to make. Have them with custard or ice-cream or maybe on their own with more syrup poured over. Yummy. Turn oven on to 170C/325F/Gas mark 3 or if you are like me and have a fan oven then 150C works well. Sift the ground almonds and icing sugar together two times. Now sprinkle the almond/icing sugar mix over the top of the egg mix and fold in gently using a large metal spoon. At this point I find a last mix with a rubber spatula collects all the mixture on the sides and gives it a final proper mix in. Spoon the fluffy mixture on top of the syrup in the cups and level out carefully. The mixture will rise up and then sink back as it cooks, so be careful not to overfill the cups. Now put the cups on a baking bray and cook in the oven for about 25-30 minutes. The centres should be just firm and the sponge a golden colour. Mine took 30 minutes but yours make take less depending on what oven you have. When they are ready, pop them out of the oven and then run a knife around the edges to loosen and turn out onto your desert plate. Enjoy on their own or add your favourite custard/icecream. Now, if you are able to resist and not eat them all at once, then they are fine to keep in their cups and turn out the next day for a lunch treat, eat them cold on their own or with custard or if you want them hot, nuke them in a microwave for about 20 seconds, be careful as the syrup will be hotter than the sponge.